A good advice is fundamental in the management of any business activity that tries to be successful. In the current globalized world in which we live, only companies capable of dealing with the changes that occur in the market, will survive the competitive environment in which they unfold. The objective of our services of economic-financial consultancy is to provide solutions to the problems of management and administration that arise to the companies in their daily tasks. The consultancy services offered by MAF auditors are characterized by a high degree of personalization and professionalization, responding both to specific issues (elaboration of a study, making a report, etc.) and to advice Permanent, in the economic-financial and accounting fields. In order to meet all the needs of our clients, those matters that remain outside our professional scope (Legal, tax, human resources, etc. ), are relocated to several specialized firms of recognized prestige that enjoy The total confidence of MAF auditors, selecting in each specific case, that more appropriate to the profile of our client (SME, micro SME, Medium business, etc. ), and to the degree of complexity of the matter in question. Development of annual budgets and their subsequent control and settlement. Feasibility studies of new business projects. Development or review of financial/ business plans of the company. Valuation of business and companies (of the whole business or focused on specific branches). Development of studies and analysis directed at financial institutions or potential investors. Assessment of capital investment projects, including report, budget, implementation plan of investments, funding formula and economic feasibility analysis of the project. Costs analysis and improvement proposals. Analysis and diagnosis of the financial position of the company. Development of financial restructuring plans. Financial comparative positioning study of the company and its competitors (local, regional and domestic competition). 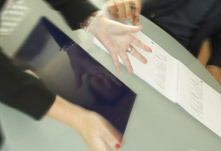 Development of due diligence or review of legal, accounting, fiscal and labour aspects of the company, in the case of a potential purchase-sale process. Support to state-owned companies or other entities in order to face the reviews performed by the General Intervention board of the Andalusian Council during its financial control. 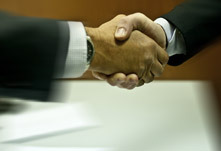 Support and advice to negotiate with financial institutions, suppliers and important clients. Analysis and interpretation of annual accounts or financial statements of participated companies, competitors, clients, etc. Development of monthly forecasts of cash flow in medium and long term. Continuous financial advice to the top management. Design and implementation of the General Chart of Accounts specially adapted to the activity and size of the company. Adaptation of the chart of accounts of the company to the chart of accounts of the sector in which the company operates. Accounting restructuring based on the information supplied by third parties and the existing documents in the company. Bookkeeping, including the compliance of those legal requirements required by the Mercantile Register. Development of complex book and accounting entries which require highly qualified specific technical knowledge. Advice and/or development of the book entry concerning the accounting restatement and closure at the year-end closing. Development of individual annual accounts and consolidated annual accounts to file them in the Mercantile Register. Development of interim financial statements (which are different from those corresponding to the end of the accounting year) for specific purposes (banks, board of directors, state-owned agencies, etc.). Update of accounting in arrears. Analysis of the chart of accounts established by the company, and improvement and updating proposals for it. Preparation of provisional financial statements for diverse purposes. Continuous accounting advice to the administrative staff. We provide advice in any conflict or lawsuit of economic content, including the issuance of expert reports addressed to companies and individuals in support and defence of legal proceedings to claim an amount. Damage assessment and analysis, with determination of consequential damages and loss of profits caused by third parties. Damage assessment and analysis caused by cancellation or breach of contracts. Issuance of expert reports on damage assessment for the presentation to the Court of Justice, including their consequent ratification and defence before them. Development of counter-reports in order to counter the arguments provided by one of the parties to the conflict. Investigation of financial frauds and quantification of damages. Restructuring of financial statements when these were non-existent or incomplete. Identification of irregularities after the purchase of a business. Analysis of the financial effect of those irregularities on the purchase-sale price. Analysis of the contingencies and breaches of the sale contract. Development of expert reports justifying collective or individual dismissals for economic and objectives reasons for their presentation to the Social Court. Reports on distribution of estates and inheritances.